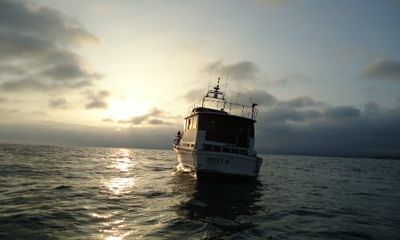 For many first time boaters, the idea that boating can be different depending on location will not come as a surprise. Of course, things like temperature and climate are obvious differences, and warmer weather will create longer stretches of time in which boating can be enjoyed. However, there are other benefits and challenges that are unique to the size and type of water body that you choose for boating. There are great reasons to try each ecosystem and also some drawbacks, both of which can influence the kind of boating you do. Here is a look at the pros and cons of boating on each water type. The smallest of the three, rivers have been for centuries the staple of inland economic trade. River towns have a more economical way to transport goods in and out of the city, even more than by rail, and because of this, cities on major riverways continue to thrive in a manufacturing capacity. Rivers are a great way to see a region in a different light. Many riverways still operate much like roadways, and are set up with a high number of amenities for boating traffic. Dockside restaurants, fuel stations, and pull-outs are going to be most easily found on major river systems that support a lot of commerce. In places like Europe, the large rivers are also a great way to see historic landmarks and major cities in a less conventional way, and to enjoy countryside that many have not seen, like the Portuguese wineries or private castles and estate homes that enjoy a river view but are otherwise secluded from tourists. Wildlife in river systems that connect to the sea may be accessible at certain times of year, allowing glimpses into species that are hard to find in open ocean. This can include beluga whales in the St Lawrence Seaway or manatees in the canals of Florida. Because rivers are often shallower than lakes and oceans, they can become warmer on sunny days, and great places for boating watersports, like waterskiing and wakeboarding. River systems with sluggish current are fun beginners locations for these sports, provided boating traffic is not too high, because the calm, warm waters are a great place to allow new waterskiiers to fall and try again. Rivers are often the shallowest of the water body types, and this can be limiting to boat size. The proximity of river edges to large trees means that there are constant new concerns about water hazards as trees can fall into and across the water surface. Currents are a large issue in many river systems, and boats with a strong enough engine to beat the current will be required. Many rivers are seasonal, because of either temperature or water regime. In temperature-seasonal rivers, ice is the main factor. Water can make a river impassible either by being too strong and fast a flow, or too shallow to be safe. It is not uncommon for a river to have both a high and a low water season that makes it dangerous to boaters. In both cases, it is important to check with local authorities on boating recommendations. Finally, rivers can have features that make it only possible to go a certain distance. This can include thick vegetation, dams, and waterfalls. There are a number of things that are unique to river systems that boaters should be aware of. Locks are one such feature — these stepped water level systems are created to allow a boater safe passage through a large gradient change. They can occur at the entrance to large water bodies, like between Lake Erie and the Erie Canal, or simply alongside dams, like in some locales in the Puget Sound. Essentially, locks work by navigating the boat into an enclosed area. Next, you secure the boat to the sides of the enclosure, and once the lock has closed, water can be drained or filled to the level of the other side of the passage. You can then drive out safely. 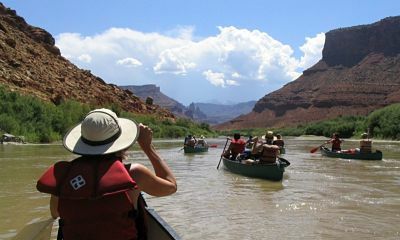 Whitewater river systems are also a great feature of rivers, and are usually enjoyed by smaller boats that are designed to withstand a beating by shallow, rocky, high current areas. These are often whitewater kayaks and inflatable rafts. River boats are usually designed to be able to deal with the fact that sometimes they must be in water that is shallow. With larger boats, this usually means a flat bottom that will not get damaged if it runs aground or gets wedged in the mud. Some smaller river boats are even designed to beach themselves so you can go exploring intentionally. Kayaks, canoes, and whitewater rafts can also be excellent for this water type. Outboard motors that can be lifted out of a situation where you have run aground is also a plus. Lake boats often run somewhere between river and ocean boats, because lakes can vary quite a bit, and often have something in common with either rivers or oceans. On one end, large lakes like the those within the Great Lakes are larger in size than many ocean bays, and have equally large waves and tides. On the other hand, many lake systems are connected to rivers, and people will travel back and forth between both. Most lakes have two features in common, however. They are fresh water, and they have little to no current, even if surface waves are present. Lake boating is quiet and peaceful. Most lakes are warm in the summer, making swimming and watersports an easy bonus activity. Fresh water is, in general, easier on your boat than saltwater, and boating in lakes therefore requires less maintenance. Fishermen love quiet lakes, because the calm water can make it easy to find hungry schools of fish, and stay a whole day without worrying about being carried downstream by current. Lakes can also be very busy places, full of many other boats enjoying their day as well. Boating here can be seasonal, due either to ice or shallow water seasons. Lakes must also have a good access point to bring a trailered boat to, so many of them may be less accessible to boaters, or at least to those who do not own private property on the lake. If you love the idea of a quiet, still morning of rowing across glassy water, lakes are the perfect water type. They have their own unique set of wildlife, and are great places to see turtles, frogs, and waterfowl. Most lake boats are made for pulling in and out with a trailer. 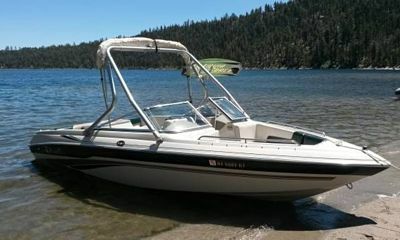 Ski boats, jet skis, and small open fishing boats with a single outboard are optimal for lake boating. Smaller boats like rowboats, canoes, and kayaks are great as well. Boating on large bodies of water can be very different than a trip on rivers and small lakes. Though sheltered bays and peaceful sounds may feel similar to being on a lake, they can still be subject to some large wind patterns and strong tidal currents that make them a unique situation to navigate. Offshore, large wind waves, huge storm patterns, and the distance between support stations can all make this a frightening prospect for beginning boaters. However, learning to boat in large waters opens many doors, from the sightings of the world’s largest creatures to the ability to explore different nations on your own, boating the ocean creates a sea (or seven) of opportunity. Almost anything you might want to see or do while boating is possible in the ocean or its connected seas. Wildlife, from orcas to tropical fish to sea turtles, is everywhere. Sunny islands, vast mountains, great fishing, solitude, and large urban areas are all easy to find. Sailing is usually better offshore, because winds are prevalent in many seaside regions. Because saltwater does not freeze easily, most of the non-polar regions of the world allow for year-round boating, provided you are bundled up. The more offshore you go, the more you are on your own. Cell signal, weather reports, and local rescue teams are an unlikely possibility if you venture too far. Depending on where you go, weather can be intense — think typhoons, hurricanes, and waves the size of multi-story buildings. There are more creatures, by a factor of ten, in the ocean than on land. Wildlife ranges from the microscopic to the impossibly large here, and much of it is thrilling to see. The ability to travel to other locales is unmatched. It is also one of the few places you can go and be able to see for miles without catching sight of another soul. Tides are one unique feature. This can make mooring tricky if you do not know the tidal exchange, and can create surprise situations of running aground. Additionally, a constantly changing tide will mean that the direction of current in a narrow sea passage will change every six hours. 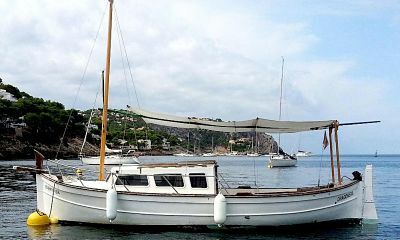 Sailboats are great on saltwater, whether it is a small boat used in a sheltered sound or a large vessel for heading across an ocean. Their ability to run long distances without needing constant fuel makes them a perfect ocean vessel. Boats that encounter a lot of swell are often deep-keeled to allow for more ability to cut through waves and reduce the feeling of being tossed around. As a general rule, the bigger the boat, the bigger the sea. However, the size of boat you run also requires a certain number of crew, so this must also be factored in. Bays that see little wave or current action can often be treated more like lakes for boating purposes. No matter what your boating style, all of these water types are excellent ways to spend a day, a weekend, or even longer. The pros and cons of many of these water types often overlap, so those who would like to try an open ocean voyage one day can work their way up by learning to navigate smaller water bodies. Not sure if you prefer rivers, lakes, or oceans? Consider trying different boat types and waterways to discover a favorite.